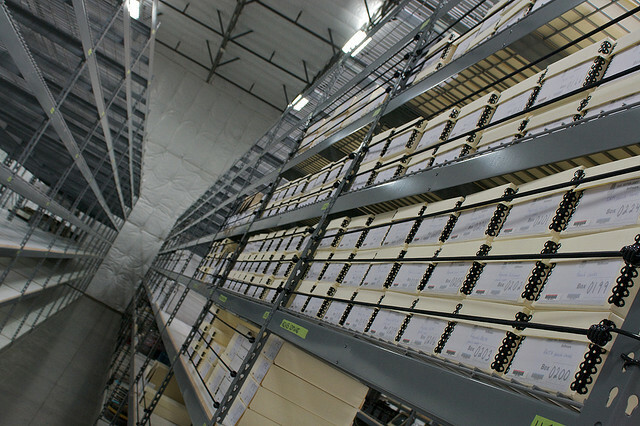 A warehouse of tidy data (in paper form). What is meant by the term “tidy” data, as opposed to “messy” data? In my last post I listed five of the most common problems encountered with messy datasets. Logically, “tidy” data must not have any of these problems. So just what does tidy data look like? Figure 1. The “airquality” dataset. That’s it. “Airquality” is tidy because each row corresponds to one month/day combination and the four measured weather variables (ozone, solar, wind, and temp) on that day. Figure 2. A messy weather station dataset. Not all columns are shown for the sake of clarity. 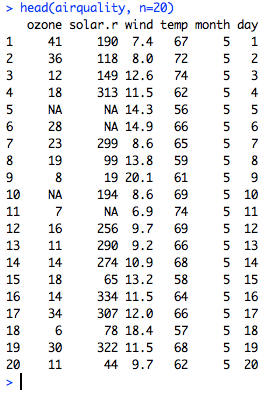 There are multiple “messy” data problems with this table. First, identifying variables like day of the month are stored in column headers (“d1”, “d2”, etc…), not in rows. Second, there are a lot of missing values, complicating analysis and making it harder to read the table. 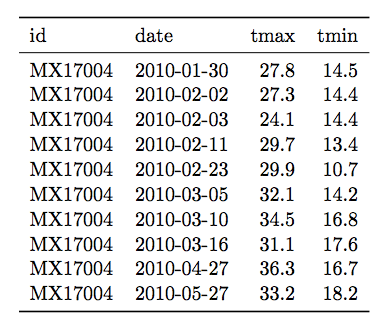 Third, the column “element” consists of variable names (“tmin” and “tmax”) violating rule 1 of tidy data. How to use R tools to transform this table into tidy form is beyond the scope of this post, so I will just show the tidy version of this dataset in Figure 3. Figure 3. The weather station data in tidy form. Each column now forms a unique variable. The date information has been condensed into a more compact form and each row contains the measurements for only one day. The two variables in the “element” column are now forming their own columns, “tmax” and “tmin.” With the data in this form it is far easier to prepare plots, aggregate the data, and perform statistical analysis.